I was quick off the mark ordering my own Urban Decay Cherry All Nighter Setting Spray and then completely forgot to hit post on this! Do I still love it? YES! Do I still think you should buy it? YES! If you haven’t seen my previous review of the All Nighter Spray HERE and the All Nighter Setting Powder HERE, then 1. Why not and 2. You need to go check them out! I will openly admit I was dubious the first time I ever bought a setting spray because how could a £10 bottle of water really make my heavy duty foundation stay on my face any better? I was surprised to find out it did, and it did it well. 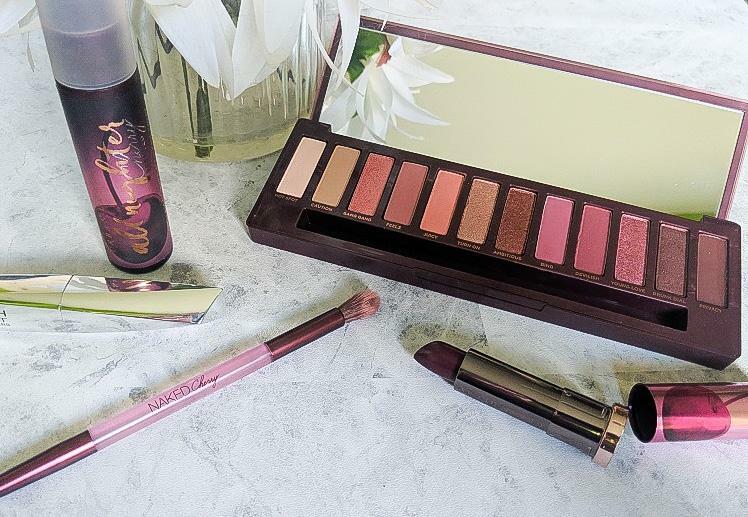 As part of the full Cherry collection from Urban Decay, the Urban Decay Cherry All Nighter Setting Spray sits along side a new cherry toned Naked palette, blush palette and lip products. Urban Decay Cherry All Nighter Setting Spray delivers a wet seal to lock in your foundation to last all day and quite literally, All Night too. The scent of the Urban Decay Cherry All Nighter Setting Spray is very much artificial and sweet, like a cross between Monkeys Blood Ice Cream sauce and Cherry alcopops and shots like Cherry VK + Cherry Sourz – and I am very much ok with that! It isn’t over powering and doesn’t linger on the skin. The Urban Decay Cherry All Nighter Setting Spray is a “wet” mist that doesn’t spoil or cause make up to run as you are setting. I have tried other “wet” setting sprays and they have caused runs or splodges in my make up and finer drier mists don’t seem to lock my look in. 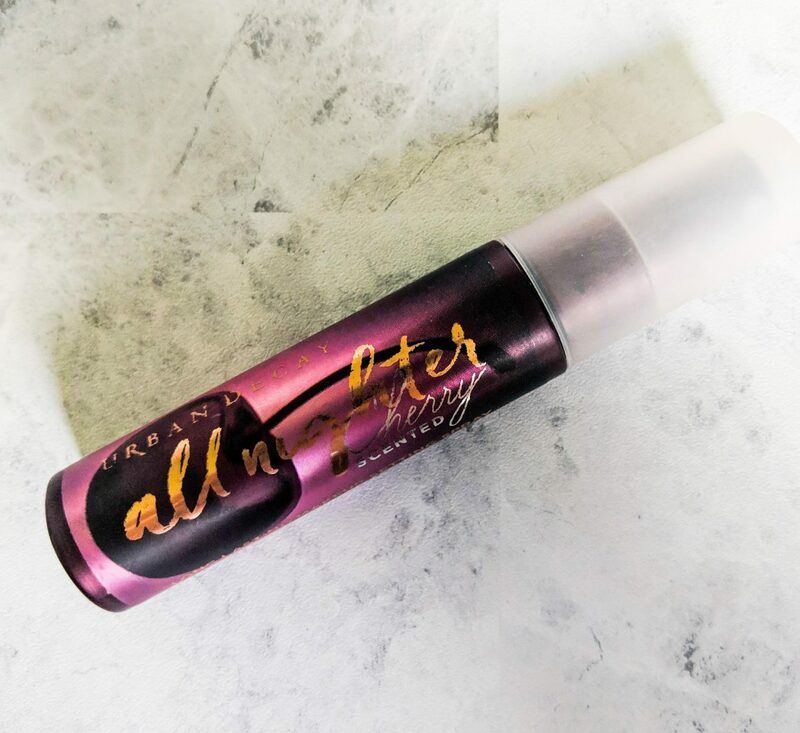 There’s a pretty good reason why the All Nighter setting spray is one of the best setting sprays in the market and you should really give it a try yourself. So, you already have the original. 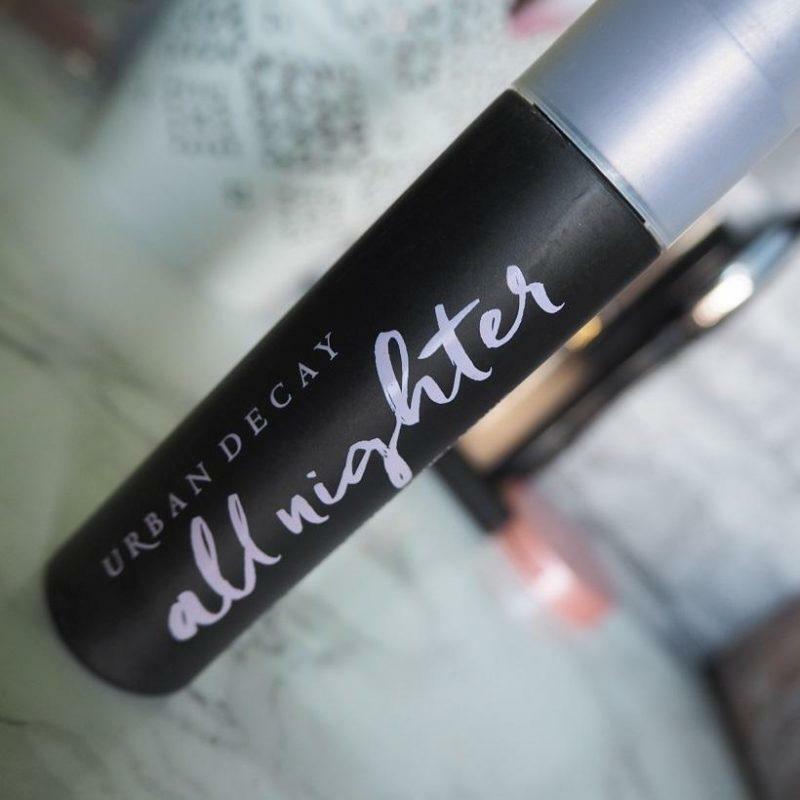 Do you need the Urban Decay Cherry All Nighter Setting Spray? Unless you love cherries or are due a replacement, you don’t need to rush to buy it but if you can grab it on sale it’s a cute addition to your make up back to chop and change your make up routine. 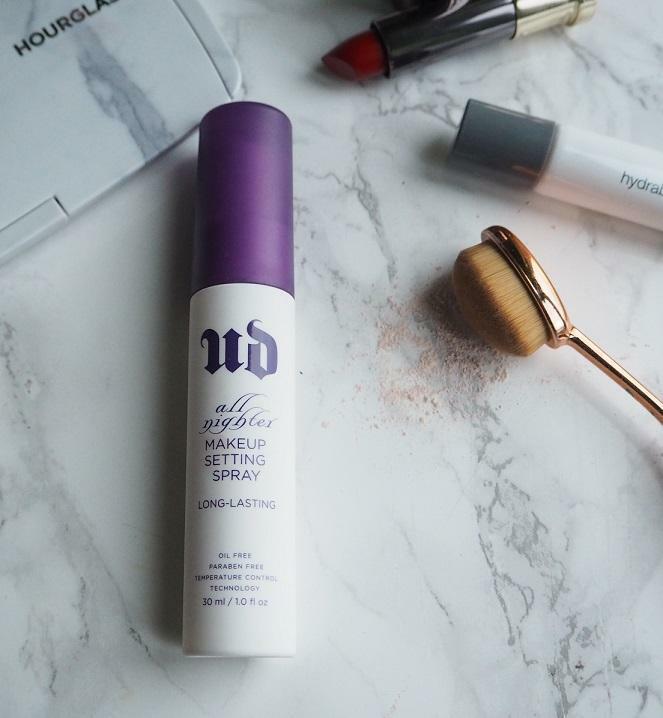 This is a Urban Decay Cherry All Nighter Setting Spray review but check out my previous post HERE for the full low-down on it’s staying power. You can buy the Urban Decay Cherry All Nighter Setting Spray directly from Urban Decay’s website here.